Satirist Rainbow skewers Donald Trump to the tune of "If I Only Had a Brain." 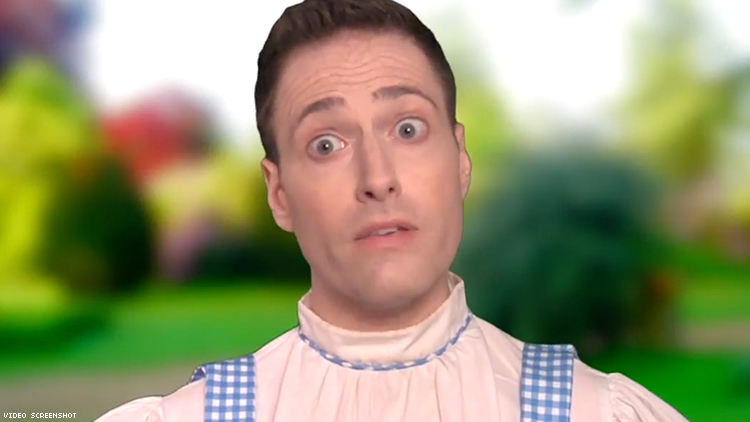 Satirist Randy Rainbow is back with another parody song skewering the Trump administration. And the latest goes right for Donald Trump with “If You Only Got Impeached,” set to the tune of “If I Only Had a Brain” from The Wizard of Oz. With no disrespect to the Scarecrow from the beloved movie, Rainbow inserts himself into Trump’s repeated denials of knowing anything about his former attorney Michael Cohen’s hush payment to adult film star Stormy Daniels, which may or may not have violated campaign finance laws. “With the crimes you’ve been fixin’ you could be another Nixon if you only got impeached,” Rainbow sings. Rainbow also hilariously trolls Trump by firing off the names of a few of his "friends" who flipped on him last week.